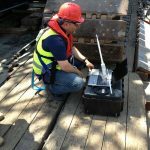 For High Strain Pile testing, like PDA/PDM or DLT, strains and accelerations are measured. 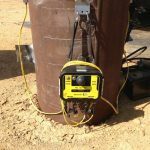 Therefore Allnamics has developed the combined strain/accelerometer to mount easily on concrete or steel piles. Will be completely delivered with a multipurpose holder for protection during transport and mounting.